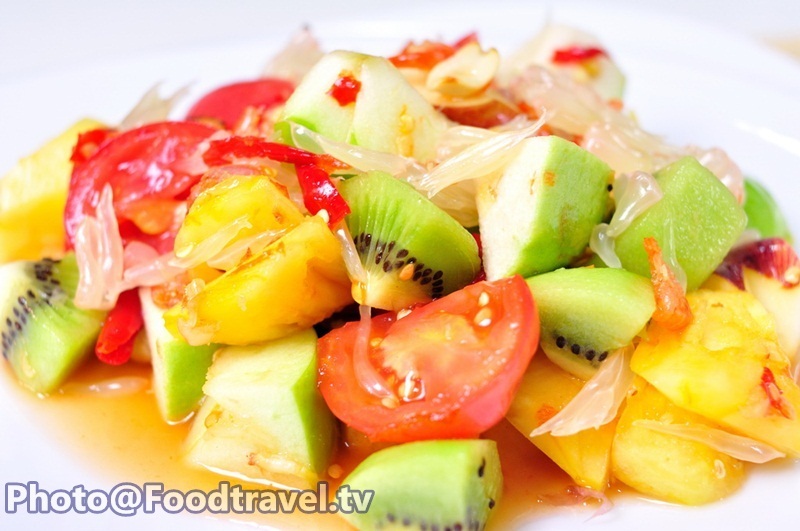 Mixed Fruit spicy Salad - A spicy delicious menu that good for your health. 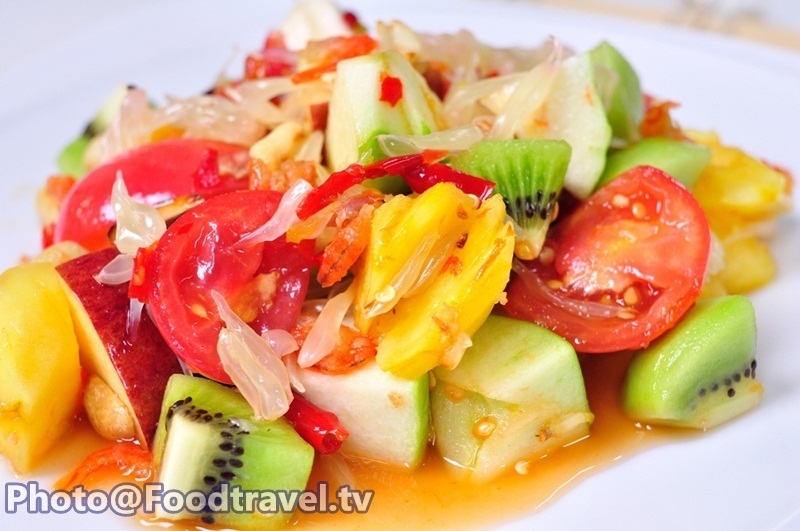 Mixed Fruit spicy Salad is great menu for ones who diet. 1. Dissolve salt with water. Slice green apple, red apple into pieces. Then put into the saline to prevent apple change to black. 2. Cut guava into piece. Then cut out the core of pineapple and cut it into pieces. Peel kiwi and cut into pieces as well. 3. Pound pepper and garlic. Season with palm sugar, fish sauce, lime juice. And stir well to combine. Then cut the tomatoes down and pound just a little. 4. Pour all fruits into a bowl Dressing with spicy salad to mix well together. Add peanuts and dried shrimp. Serve on a plate and finished.